Abstract: Femoropopliteal lesions account for a significant proportion of endovascular interventions for peripheral artery disease in patients with disabling claudication or chronic limb ischemia. The femoropopliteal artery crosses two joint structures (hip and knee joints) and courses through the muscular adductor canal in the thigh, which places the artery at increased biomechanical stress. There is a critical need for stent platforms with a reduced risk of stent fracture while maintaining patency during long-term follow-up. The Supera peripheral stent system has a braided nickel–titanium alloy stent designed to withstand the unique stressors along the course of the femoropopliteal artery. This design may be associated with improved patency in association with reduced stent fracture rates on short- and medium-term follow-up. 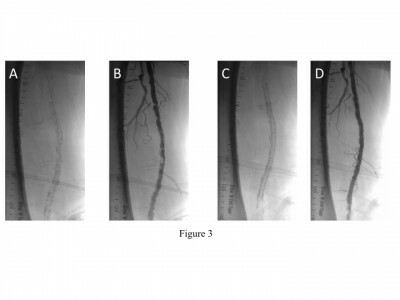 Further studies, including randomized controlled studies, comparing the Supera interwoven nickel–titanium alloy stent system with other stent platforms and angioplasty alone are needed.